RUSH: White Plains, New York. Liz, glad you waited. How you doing? CALLER: Hello, Rush. How are you? RUSH: Fine. Thank you much. CALLER: I’m a huge fan. I’ve been a conservative since I was a little kid, and I’m a young 65 now. I have four grandchildren for whom I will be buying your books. My point is that after all this media fanfare about the Roseanne show, I was really kind of surprised, because about a month ago I had kind of found out about a show that had been canceled, a sitcom that had been canceled that was conservative. So I started watching reruns of Tim Allen’s Last Man Standing. CALLER: Which was a very funny, blatantly conservative, very well done show. And I started thinking, what’s going on here? This isn’t right. And I thought, you know, I’ll bet back in 2017, the early part, the powers that be at ABC decided they needed to prove their liberal chops after the Trump election and inauguration and decided to cancel that show. And then, well, a year later they realized that despite all their best efforts to destroy Trump, there’s a huge swath of the American population who are conservative, i.e., the political majority, and to whom they should be appealing to try and help out their bottom line. RUSH: So let me see if I understand. You think — don’t misinterpret my tone here. I don’t want you to hear disbelief or incredulity. My voice is a very powerful, powerful instrument, and I don’t want you to misunderstand. Try to hear this as monotone as possible. You think that ABC canned the Tim Allen show and then realized that they made a mistake because a lot of the country and their viewers like conservatism. 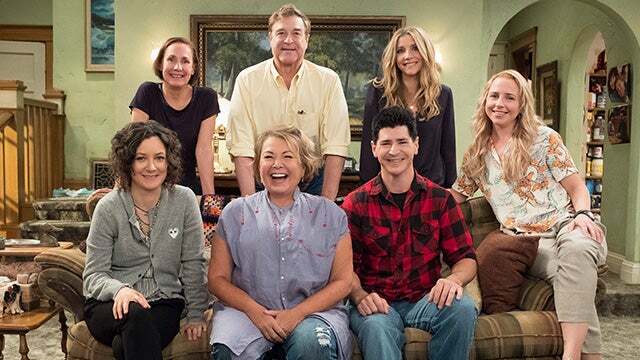 So rather than bring back Tim Allen, they went and brought Roseanne’s show and reignited it in order to serve their conservatism audience? CALLER: Exactly. I don’t understand why they did not bring back Tim Allen. I know he’s trying hard to get back on the air. It’s a shame that this little hissy fit of the media after Trump was elected that all those people kind of lost their livelihood. I don’t know if you’ve seen the show. It’s hysterical, and it’s blatantly conservative. So, yeah, that’s what I think. RUSH: You know, it’s amazing when you look at the Roseanne show, it premiered last night, and they gave it I think two runs, right? First full hour, with no lead-in. Now, normally that’s how you kill a show. You know, its lead-in is access whatever or local cable access, Robin Byrd, you know, barely in the bathtub and that’s your lead-in to the show. And Roseanne blew it out. She blew it out. She had a greater audience, that show last night had a greater audience in adults than This is Us. It blew away 60 Minutes and the Make America Horny Again Tour with Stormy Daniels. And it’s been written about. It had a lot of prepublicity as being pro-Trump, because Roseanne herself is pro-Trump. And notwithstanding her Mike Pence joke, I mean, she is pro-Trump because she actively likes Trump. She’s not for Trump because she doesn’t like Pence. Now, the writers of the show acknowledge that they’re liberals, they acknowledge that they’re leftists, and they’re also saying — I’m not trying to throw cold water on anything, but they’re also saying, don’t judge us by what you read about this show. Judge us by the content of the show and give us three or four episodes before you make up your mind. Now, they could be talking to their liberal buddies ’cause I guarantee you after this show last night as pro-Trump as it was, these people are hearing about it from every leftist that knows them. They’re being called traitors, they’re being criticized, they’re being ripped. “What are you doing making this guy look good, how can you do this?” Probably Bob Iger is getting similar phone calls from who knows who. He’s the CEO of Disney. So I don’t know how the show’s gonna hold up. I hope it is what it is. I hope it appears to be — (interruption) The Official Program Observer has a question. Yes, what is the question? Hm-hm. Yes. Right. Okay, that’s a good question there. Mr. Snerdley points out that Hollywood is essentially a bunch of copycats. In fact, many in media are, and that if something surprising happens that is wildly successful then competitors rush to emulate it. So the question is, will they rush to emulate this? If they do, it will not be because of the content, I guarantee you. These leftists are not gonna see why the show — they won’t even have the ability to tell themselves the truth about why it’s successful. If they copy the show, they will do it visually. They’ll go out and they will have Shonda Rhimes produce — well, they can’t get her ’cause she’s gone to Netflix. But they’ll get somebody to do a version of this show where everybody looks the same but despises Trump. And they’ll do it as the counter. You don’t actually believe that the networks are gonna end up copying this all the way down to characters on a show loving and supporting Trump? The peer pressure — (interruption) well, no, that’s my exact point. Look at how they tried to copycat me. They didn’t copycat me with Mini-Mes. They copycatted me with Gary Hart and Mario Cuomo and Jim Hightower. They didn’t copy the substance of the program. (interruption) Well, yeah, but not the left! The left, when they copycatted me, did not copycat me. They tried to do the antithesis and the opposite. Now, the real point here is all of prime time TV is already the opposite! The Roseanne thing is a standalone. The Roseanne thing is not a copycat. The Roseanne thing is a reboot of something from the nineties that was successful on its own back then, which has remained pretty much true to its original scripting. So we’ll see. I find it fascinating, though, how much — what’s the right way to put this? I don’t want to insult people, but look at all of the, for lack of a better word, hope, that people are attaching to this Roseanne show. They’re saying, “Oh, my God, oh, my God, ho, did you see it? We got a half hour conservative sitcom that loves Trump. Oh, my God, it’s great!” and they’re throwing parties over one 30 minute show in all of prime time television — cable, sports, news, you name it. What does this tell us? It tells us that — well, many things. Depends on who you are. But for most people what does it convey? It conveys that we still crave to be, if not accepted, to be represented fairly and accurately in the Drive-By Media. Do you know how many people routinely call here and hold out hope that one day NBC will be a pro-Trump network or a pro-Republican one? It’s never gonna happen. Well, I shouldn’t say never, but not in our lifetimes. I just… Look, I don’t want to throw water on this. Let’s just wait for two or three more episodes and see what happens here. I’m not predicting anything, and I certainly don’t know anything about this show. But I do know all about the peer pressure in leftist media about remaining loyal to the cause, even at the expense of the bottom line. CNN. Somehow. happily loses money and accepts accolades for doing so for remaining true to the cause. So we will see. I am not… No, no. Folks, I’m not trying to be negative about it at all. I’m just trying to be somewhat realistic. I think the other way of looking at this is… You talk about copycat. Look at the audience it drew. For that reason alone these people who are in business for dollars and cents, they ought to know that. Instead of producing crap that nobody watches but for which everybody wins awards and all kinds of PR and buzz, actually produce stuff that people want to watch. And if you look at the stuff that people do watch, it’s not mainstream liberal content. This is Us? You’d have a tough time attaching ideological politics to that show, and it’s big. 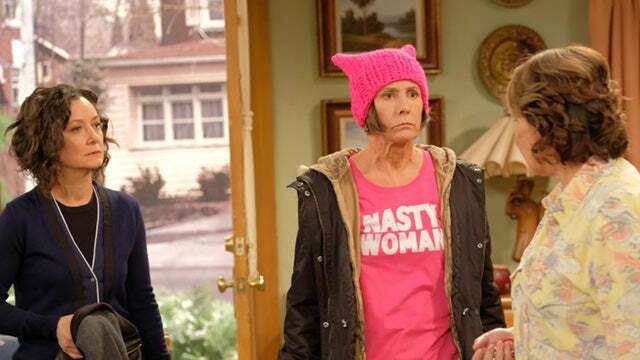 The Roseanne show is decidedly not leftist. Same thing with Hollywood movies. The wholesome, family oriented movies, they just do bang up business, and they’re used to finance all the other crud that Hollywood produces. So it’ll be interesting to see if the fact that it drew that big an audience will have any effect on the way people in that business look at how they do business. We have been dumbfounded before that they do not learn this lesson. Hollywood, the media, seems content to be in a position where they actively, purposefully turn away half the audience. ESPN is in the process of doing it. RUSH: Now, look, folks. Again, I don’t want pour cold water on anything. Roseanne is not a conservative — and you can be pro-Trump and not be conservative. Roseanne Barr ran for president on the Green Party ticket in 2012. People forget this. She was right behind Jill Stein. She came in second to Jill Stein when she ran for the nomination on the Green Party platform in 2012. She has appeared at Occupy Wall Street protests. She has spoken in support of the protesters. She has stated that any guilty Wall Street bankers should be forced to give up any income over $100 million, that they be sent to reeducation camps or be executed by beheading if they resist. Now, she’s a comedian and she’s a fabulist, and she also says shocking things in order to be noticed. But, you know, I saw enough of the episode last night to know why she’s a Trumper. The middle-income people that family is, as portrayed, has lost their jobs. They’ve lost the places where they work. That family as portrayed on that show is the exact family that Trump was appealing to at all of those rallies when he was talking about NAFTA and trade deals. Those are the Reagan Democrats who Reagan had. Some of them are blue-collar. But they’re salt of the earth people. They’re not left-wing uber-leftist ideologues like the elitist and radical Democrats are — and that is how Roseanne’s support for Trump happened. That’s how her real support for Trump, that’s how it’s framed. But it’s not because Roseanne’s become a conservative. At least I don’t think she has. Remember her statement she made on Kimmel. You know, she chided Jimmy Kimmel for being too critical of Trump because if we get rid of him, look who’s next? Pence. Well, Pence is your classic prototype conservative, and she publicly indicated she wants no part of that. So just keep everything in perspective here. There’s a lot for people to learn in this. Political scientists, political consultants and this kind of thing — and what really Trump can’t afford to lose, his administration goes on. And I don’t think he’s going to. That is an indication of why Trump continues to focus on these trade deals and unfair trade practices and tariffs and so forth. He knows how many people have been affected, disaffected, have lost their jobs. And when you don’t have your job and everything else being equal, that’s what you care about. These are not the people clamoring for gay rights and transgender rights. It doesn’t matter to them. They’re Democrats because they always have been. They’re Democrats because they support Big Labor, and Trump is the only politician that has connected with them essentially since Ronaldus Magnus. That’s the lesson learned. Sad to say, folks, but it’s not that ABC’s gone conservative. Not that ABC knows any of this, either. Don’t misunderstand.